Danielle Hu was working over 10 hours a day at her corporate job in New York, with only 15 vacation days a year to look forward to. She looked at the curated Instagram feeds of travelers and thought Wow. I wish I had their life. Now, Danielle is a full-time travel influencer with over 100,000 followers on her Instagram channel The Wanderlover. She travels the world for a living, crossing places off her bucket list from places like Sydney, Taipei, Morocco, Ibiza, Bali. DISCLAIMER: Following Danielle on Instagram brings extreme wanderlust. What are the secrets at the core of her success? The thing is, there’s not really a secret. Danielle mixed hard work and perseverance to make a name for herself online. You can accomplish the same. The most important thing: Danielle emphasizes how growing a travel following isn’t easy. But that doesn’t mean it’s impossible. Best of all, Danielle shares a practical, step-by-step guide on how to replicate her success in The Travel Influencer Handbook. to keep this blog running. To learn more about affiliate links, click here. It’s a lot of work, but if you love what you do, it never feels like work. Content creation is a crucial part of an influencer’s job, and Danielle provides insider information on what you need to do: how often you should post, what equipment and software you should use, how to plan your posts, how to use hashtags, etc. But creating content is obviously just the first step. Once you start posting content… how do you attract followers? You can’t just sit back and wait for people to find you. The cornerstone of growing a following is engaging with other accounts. You will have to reach out to people you want to attract, and subtly – maybe even tirelessly – draw in their attention. For several hours – every. single. day. In the Travel Influencer Handbook, Danielle breaks down the most time-efficient and effective ways to meaningfully interact with the right people on Instagram. Protip: Be intentional when you engage with other accounts on Instagram. If you engage with the right accounts in a meaningful way, you’ll be quicker at attracting the right followers to your brand. Have you ever heard of those travel influencers who land collaborations with hotels, restaurants, clothing companies? Interesting Fact: You don’t have to have a huge following to start working with brands. The Travel Influencer Handbook teaches you how to seal a deal with your future sponsors (from creating a media kit to writing a punchy yet persuasive email). Although you may not receive payment for your work each time, you can leverage the social media exposure in exchange for hotel stays, restaurant meals, and clothes. Does anyone else struggle with pitching themselves? One thing I love about this handbook is how it includes Danielle’s pitching email template. Let’s be real: hotel stays and clothes won’t pay the bills. In the Travel Influencer Handbook, Danielle shows how to convert unpaid, sponsored collaborations into paid work. She also offers tips on how to diversify your income. If you’re new to the self-employed world, you might struggle with pricing your services. The Travel Influencer Handbook includes a clear, no-nonsense section on how to set your rates. So you won’t have to kick yourself in the bum for pricing yourself too low. Or constantly pull your hair out because you can’t figure out why company after company isn’t paying you for all the work you do. And by the time you finish reading Danielle’s inspiring story at the end of the eBook, you will be rearing to start your own journey on the road of independence, creativity and freedom. Because Danielle’s dedication is what makes this eBook so special – it’s a deeply motivating read which will inspire not only the travel influencers out there, but anyone who wants to build an online business (or for that matter, anyone passionate about reaching their goals). If you are committed to becoming a travel influencer, invest in yourself and your future. Danielle shares everything she’s learned on her journey to those glamorous, drool-worthy press trips across the world. 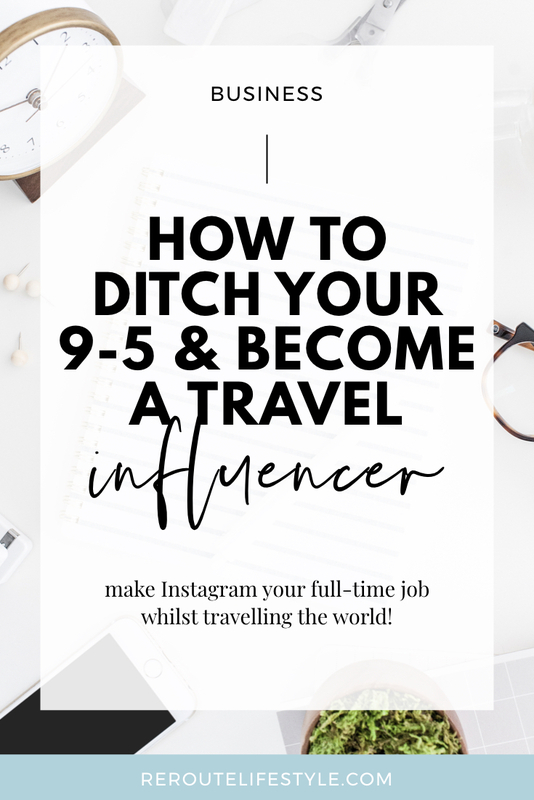 The Travel Influencer Handbook is a down-to-earth guide which doesn’t shy away from showing you the amount of work you have to put in for that irresistible call to start crafting the life you want!